The Riviera, built by Rouse and Goldstone, is one of the most coveted luxury rentals in Washington Heights. 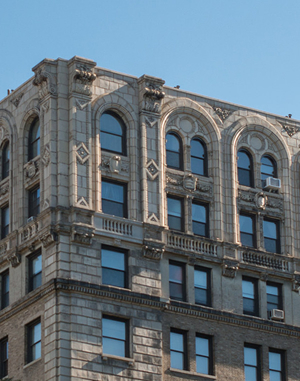 Located on 790 Riverside Drive, this 12-story Beaux-Arts style masonry building is styled with touches of Greek and Roman forms for a neoclassical look. The building features black wrought iron and glass doors at its main entrance leading into an elegant marble lobby complete with stained-glass windows, a hand-painted coffered ceiling, and gilt-iron and marble double staircases. The Riviera is known for its historic ornamental and architectural details which have been kept intact for over a century. Amenities of the Riviera include an on-site laundry room, live-in super, bike room, and full-time doorman. 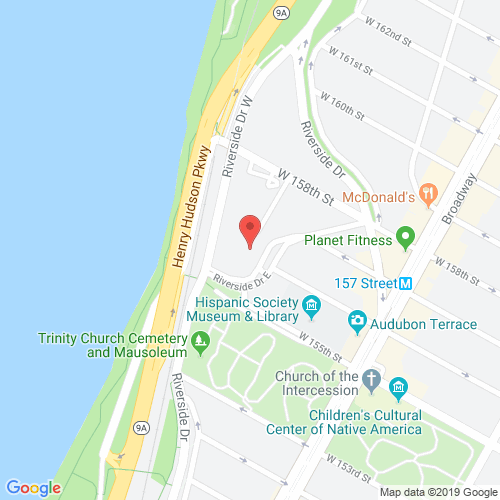 Additionally the building offers glorious views overlooking the Hudson River and convenience for its residents with close proximity to the 1 train. Don't miss out on an opportunity to make this historic gem your home and experience a true piece of classic NYC history.